Damp walls in and around the house are a big problem facing homeowners. It is important to find the source of the problem and treat it as soon as possible. There are many different types of damp that can be found on walls, meaning the way to treat a particular damp problem differs too. Damp patches on the internal walls of your home can be a real pain as they are not only visually unappealing to look at but also the moisture and dampness on walls can cause mould. 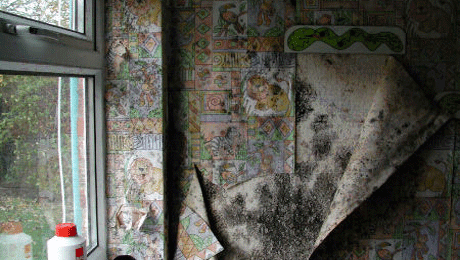 Mould can have implications for your health especially for sufferers of asthma and allergies. 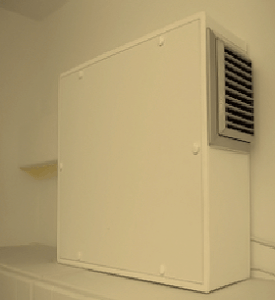 Having cold damp internal walls can also make your room feel colder and more uncomfortable to occupy. One way of finding out if damp is present on walls is by using the back of your hand against the wall. Although this isn’t the most accurate way to ascertain the severity of the issue, by feeling the damp area compared to a dry area on the wall it can give you a good indication of how bad the damp on your wall actually is. Condensation forms by the moisture been absorbed into warm atmosphere of a property, then, as the property cools down, the excess moisture condenses on cold surfaces such as on windows or windowsills. The reasons for this occurring can be numerous – for example it could be down to the fact that there are cracks in the wall allowing draughts and air flow into the property, or as a result of no constant air flow of ventilation in the property. 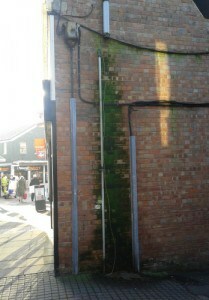 Rising damp will only affect walls on the ground floor of a property. Usually there are horizontal brown or discoloured marks that can be seen up to 1 meter in height on interior walls, these are otherwise known as ‘Tide Marks’. 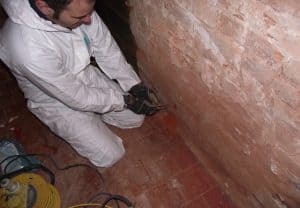 The symptoms of a rising damp issue can also be felt through the fabric of the wall with the bubbling of the plaster that is caused by the continual expansion and contraction of salt crystals drawn from the ground. Penetrating damp occurs on the exterior of a property and can cause serious damage to the building if not treated correctly. You may notice damage to the internal walls of the property with watermarks being found on the masonry. Where there has been heavy rainfall, the rainwater usually evaporates out of the brick. In some cases though, the moisture falls to evaporate though and is then allowed to pass through the inner surface of the wall. Do you have Damp walls in your Property? It’s important that damp in your property is correctly identified to ensure the right treatment is carried out. 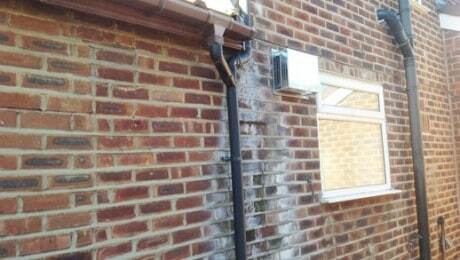 Timberwise has over 4 decades of experience providing solutions to all your damp problems. 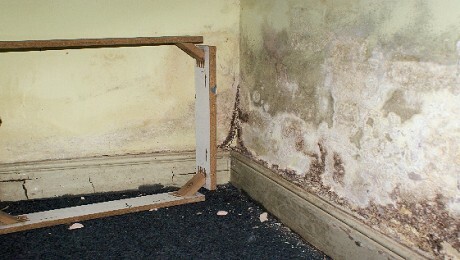 Check out our damp proofing page which might give an insight to treating any of your damp issues. Call our experts today on 0800 288 8660 or click below to arrange a survey online.